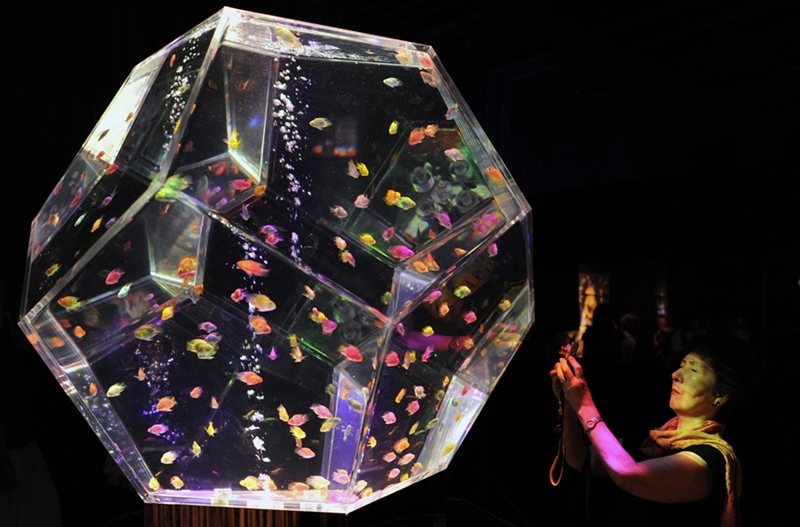 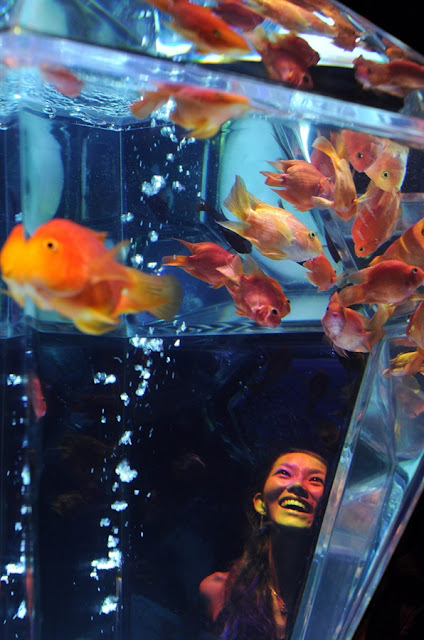 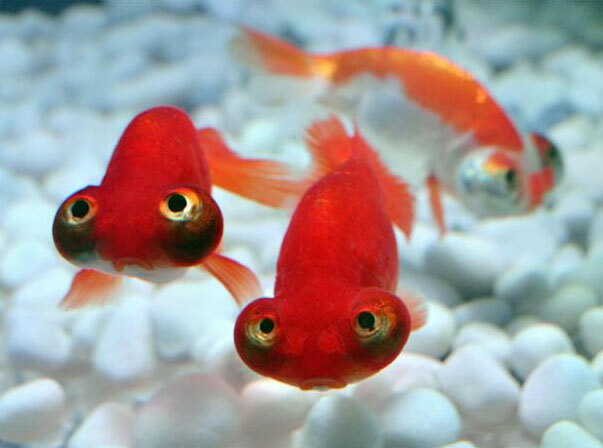 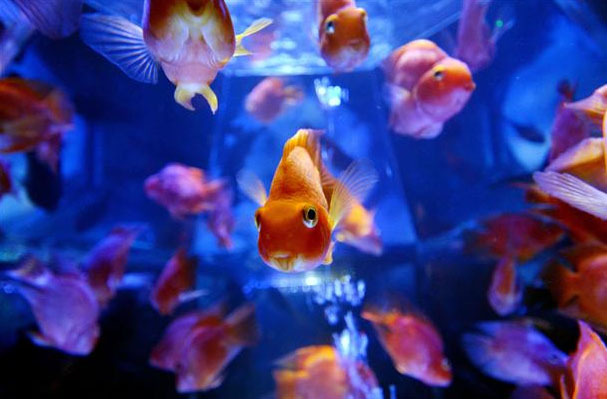 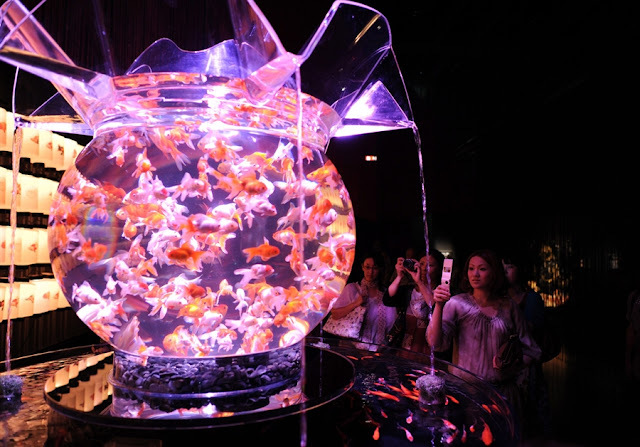 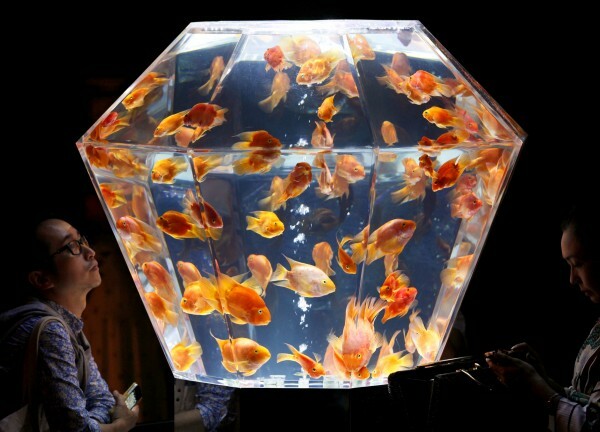 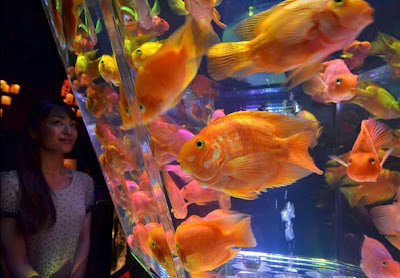 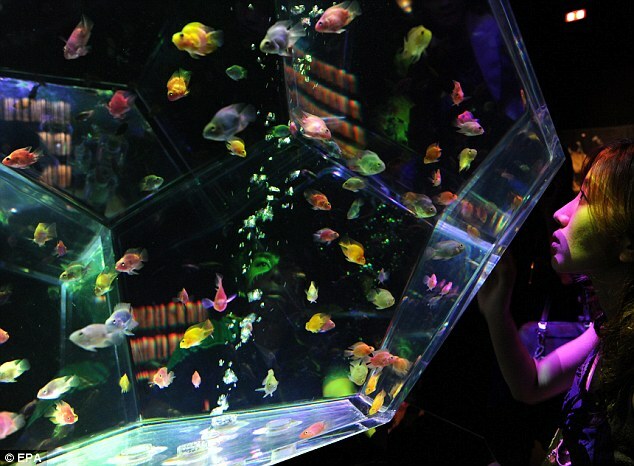 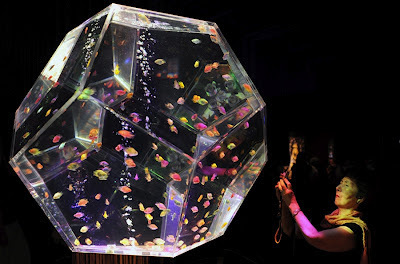 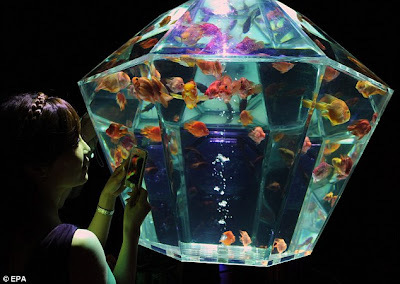 August 17 2012, Tokyo, Japan – The Art Aquarium Exhibition at Nihonbashi Mitsui Hall. The Art Aquarium Exhibition -Edo Coolness of Kingyo- shows the combination of the Japanese Edo period and modern technology in aquarium tanks with traditional Japanese fish. The exhibition is open from August 17 to September 24 at Nihonbashi Mitsui Hall in Tokyo.